If you have a young kid, covering up your electrical outlets is a good idea, because you can’t explain stuff like electricity or death to them. They’re still trying to figure out ideas like eating when they’re hungry and the correlation between running headlong into something solid and falling down. 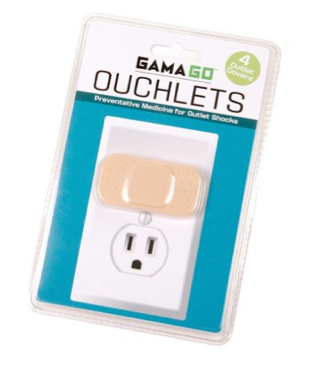 So it’s maybe the dumbest idea in the world to put plastic band-aids over electrical outlets. Kids love band-aids so much that they’ll pretend to be hurt just so you’ll put a band-aid on them. They’re going to be obsessed with the covers, and the outlets, and digging around in the outlets. This is like Tumblring a big, racist, transphobic JPEG about how much you hate Homestuck and Ponies, and telling people not to call it stupid.